CLEVELAND (June 8, 2018) – Greater alignment among Northeast Ohio’s economic development organizations is vitally needed to improve the region’s economic competitiveness and reverse troubling trends. 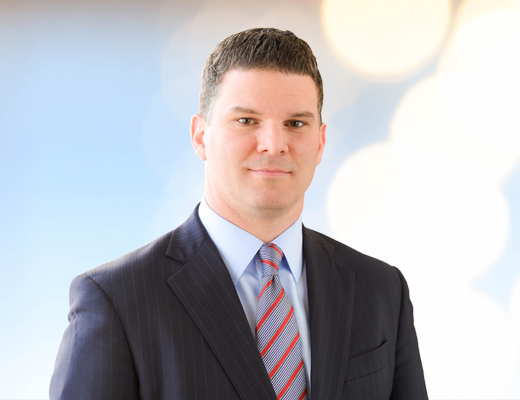 That will be the message of Jon Pinney, managing partner of Kohrman Jackson & Krantz, in a City Club Forum address today at 12:30 p.m., broadcast live on 90.3 WCPN. His address, titled “Dead Last: Northeast Ohio’s Economy is Lagging and It’s Time to Do Something About It,” will highlight some of the most significant evidence of our region’s lagging economy which are particularly concerning when compared to competitive regional cities like Columbus, Cincinnati, Pittsburgh and Indianapolis. These trends include population decline, stubbornly high unemployment rates, sluggish GDP growth and significant misalignment between employer demand and available qualified workforce. Particularly troubling, says Pinney, has been recent negative national media coverage, such as Forbes’ “Best Cities for Jobs” which placed Cleveland in 71st place out of 71 major metro areas, and Business Insider’s ranking of the 40 biggest U.S. economies, which placed Cleveland 40th out of 40. That article, headlined “It’s time for a tough conversation about economic development,” ran in Smart Business in January 2018, and expressed Pinney’s concerns about our regional economic performance and called for greater focus on negative economic trends. It sparked a significant positive response from business and civic leaders across the region. AND AN ULTIMATE GOAL of a true regional strategic economic development plan that sets A VISION, achievable goals and metrics and is built around innovation and COLLABORATION. In order to achieve this, Pinney says that the partners in this effort must be broad and diverse, including representatives of major employers, non-profits, hospital systems, foundations, civic organizations, educational institutions, cities and counties, and more. In today’s address, Pinney will advocate for the creation of a regional economic development summit that will bring together all of these organizations to develop a plan to improve alignment and reverse negative economic and population trends. Pinney’s speech will be broadcast live today beginning at 12:30 p.m. on 90.3 WCPN Ideastream and streamed online at ideastream.org. After the event, the program will be available online on demand.